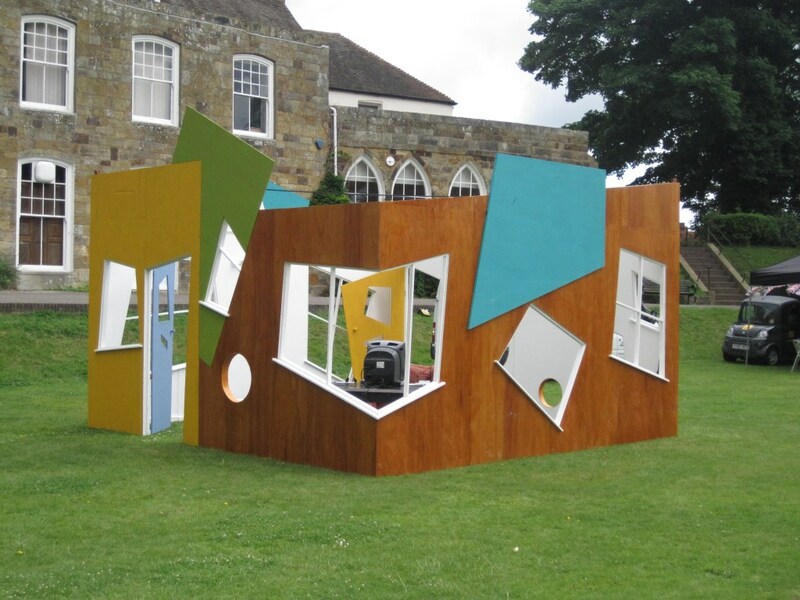 The House of Curious Engagements series is now finished over on The Peripatetic Studio, but you can still catch The House- a portable public art gallery that has been touring the South East of England – at the Smuggler’s Festival in Kent at the end of this month. The House is touring with a circus performance, a sound installation, a photography exhibition, a ‘viewing device’, and The Peripatetic Studio Broadcast installation created by myself and Samantha. To learn more about the places and processes behind The House itself, read Tom Richmond’s post on doing carpentry in the Cotswolds. Or check out Linn Broden’s post on creating a circus performance for a building that doesn’t exist yet. The post by Linn’s co-performer, Elise Briccolani, tells us about her experiences of taking to the streets to talk to people about home. Gabriella Beckhurst talks about the domestic spaces and concepts that informed her viewing device, Observatory Pavillion. We’re taken to a Pinetum in Canterbury by Alice Vandeleur-Boorer for the inspiration behind the performance documented in the photographs on display in The House. And, of course, there are posts from myself and Samantha Silver on turning our transatlantic, digital-based collaboration into a retro television broadcast.